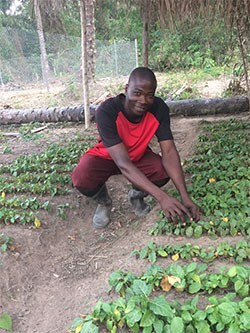 Focusing on African nightshade, amaranth, spider plant and Ethiopian kale, the HORTINLEA project aims to boost the potential of traditional African vegetables to improve nutrition and increase farmer incomes. 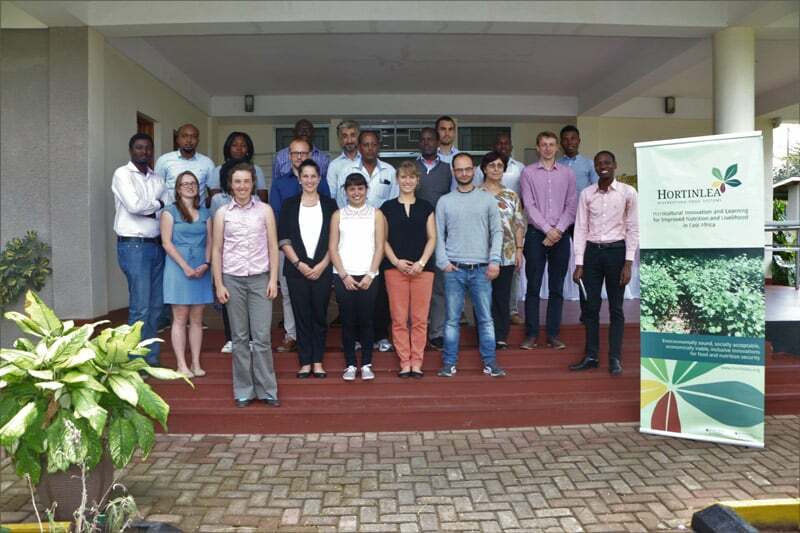 A group of young researchers is looking into ways to share the knowledge and know-how collected by the project with farmers, other researchers, and policymakers. 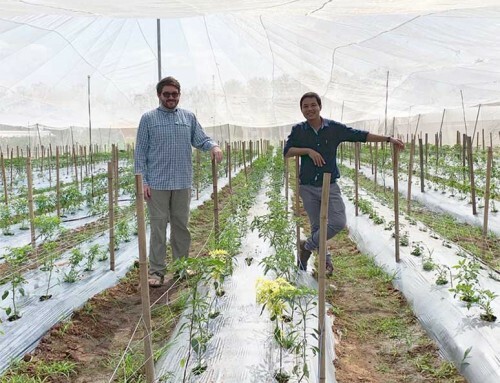 The team is part of the multi-year, interdisciplinary HORTINLEA project. 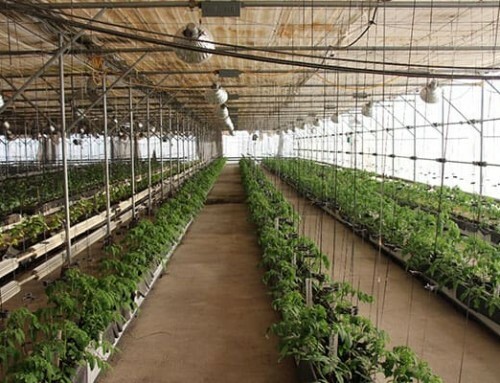 Focusing on African nightshade, amaranth, spider plant and Ethiopian kale, HORTINLEA aims to boost the potential of traditional African vegetables to improve nutrition and increase farmer incomes. 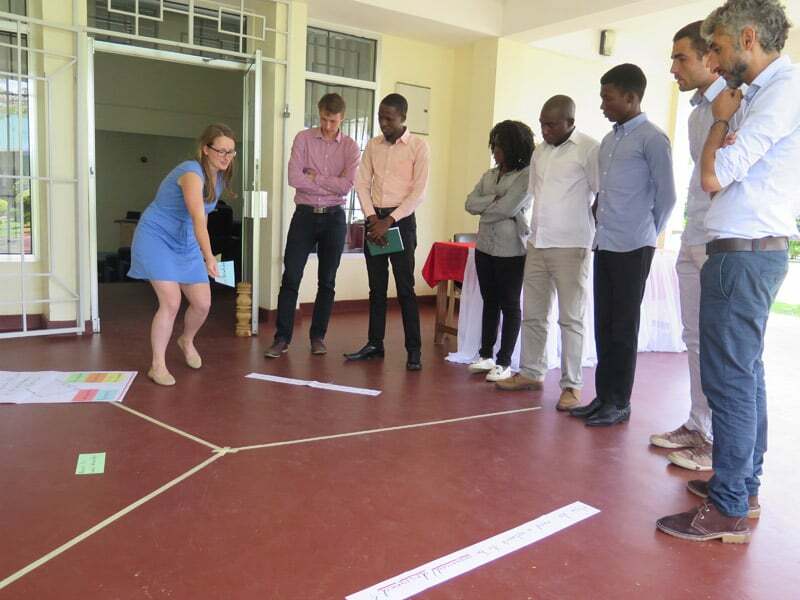 Since 2013, more than 19 universities and research centers in Germany, Kenya, and Tanzania, including WorldVeg, have been collaborating in 14 sub-projects on natural, technological, ecological, socioeconomic, and institutional topics. The young professionals are exploring how the institutions disseminate research results. How can gaps between academia, policy, and practice be closed, and how can sustainable mechanisms for “circular knowledge exchange” be developed? 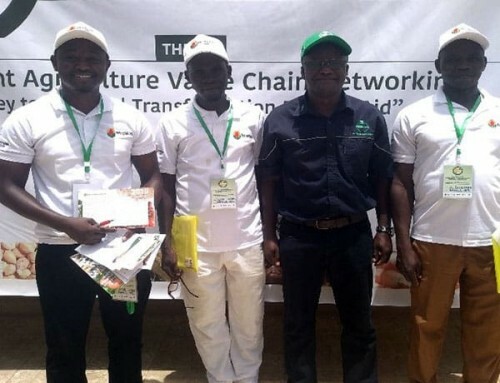 The team wants to tackle this complex problem for traditional Africa vegetables by developing a concept for a circular knowledge exchange network. They are analyzing local innovation processes and thinking about ways to share them with farmers and encourage their use. They also plan to develop training manuals and policy briefs to disseminate knowledge. Team members are enrolled in a one-year postgraduate program at the Centre for Rural Development at Humboldt Universität: Elena Ammel (political scientist), Rebekka Goeke (political scientist), Julia Legelli (biologist), Sönke Marahrens (environmental scientist), Florian Neubauer (development sociologist), Colleen O´Conner (political and social scientist), and Manon Lelarge (agronomist). 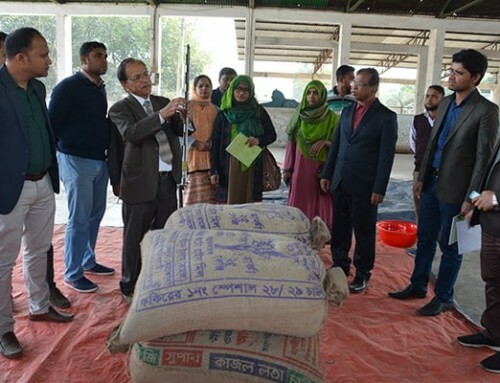 During their stay, the team conducted interviews with experts from WorldVeg, visited demonstration plots, and conducted a focus group discussion with farmers. 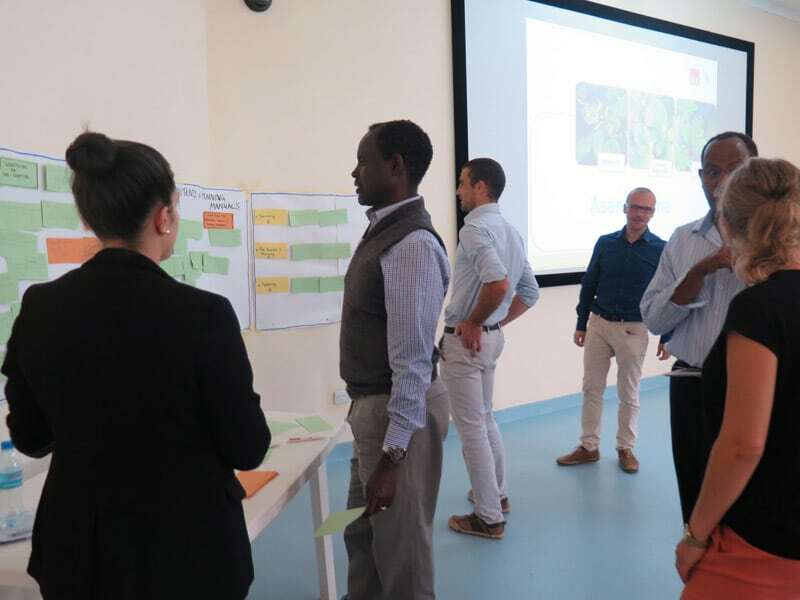 The visit culminated in a half-day-long workshop to present and discuss the study concept with experts from WorldVeg, the International Institute of Tropical Agriculture (IITA), and Jomo Kenyatta University of Agriculture and Technology (JKUAT). Dr. Losenge Turoop, Associate Dean from JKUAT, drove over from Kenya to attend the event. The participants shared ideas on implementing a multi-stakeholder network, reflected on potential innovation criteria and best practices on dissemination processes, and collected contents for training manuals. The workshop ended with a presentation by James Chacha, a HORTINLEA MSc student, on the potential role of underexploited indigenous vegetables in improving food and nutrition security in Tanzania. After a wonderful week at WorldVeg and with renewed energy, the team dispersed to Morogoro, Tanzania and Nairobi, Kenya to conduct field work. The final study will be published in December 2017.